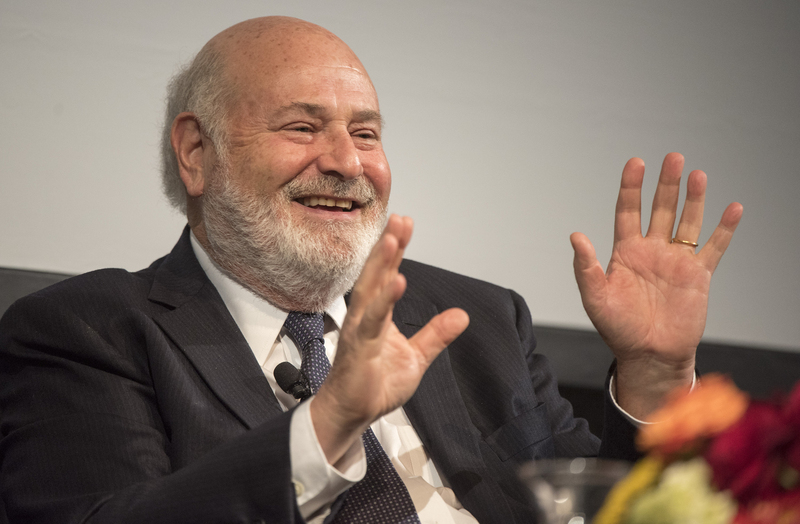 The impact of the First 5 initiative, spearheaded by actor-director Rob Reiner, is complicated to measure because of the lack of longitudinal data. Filmmaker Rob Reiner spent this summer plugging his new movie “Shock and Awe” on late-night talk shows and frequently tweeting his expressions of disgust for the man who currently occupies the White House. But 20 years ago, Reiner was campaigning for a different cause — passage of Proposition 10 on California’s general election ballot. Called the California Children and Families Act, the measure would create a 50-cent tax on tobacco products to fund programs that improve the health, welfare and school-readiness of the state’s youngest children. Overcoming almost $30 million in opposition advertising by the tobacco industry, the initiative barely passed by just over 50% of the vote. Creating a funding stream for early-childhood programs, Proposition 10 — later renamed First 5 to reflect the early years of a child’s life — the statute has continued to survive efforts to redirect the revenue to other state expenses. But in accomplishing one of its goals — reducing tobacco use — First 5 is now experiencing a corresponding, steady decline in its primary source of funding, and increasingly faces decisions over where to direct those dwindling resources and how to secure additional sources of revenue. With Lt. Gov. Gavin Newsom, a Democrat and the front-runner in the governor’s race, pledging to expand programs for young children — an area that has received little attention from Gov. Jerry Brown — First 5 officials see an opportunity for some of the innovative program models they have tested locally to spread statewide. They also see taxes on legalized marijuana in the state as a potential new funding source for programs serving young children and families. Two years before passage of Proposition 10, California voters passed the first medical marijuana law in the U.S., but Reiner might not have predicted the day when cannabis taxes would be used for home-visiting programs and toddler play groups. First 5 has been a departure from the way many states have provided funding for young children. It wasn’t a governor’s initiative or a pilot program, and it has advanced a more comprehensive view of being prepared for school that goes beyond early academics. Reiner declined to be interviewed and didn’t participate in May when First 5 held a 20th anniversary "Family Fun Fest and Advocacy Day" in Sacramento. But "even if he’s not engaged anymore," Moore said, "he’s certainly not forgotten." Now at its 20-year mark, to some extent First 5 is shifting away from funding programs and focusing more on partnering with other agencies to ensure that disadvantaged families can receive services that help children enter school with fewer obstacles to learning. Staff members from First 5 Alameda County participated in a 20th anniversary family event and advocacy day in May. The law created a statewide commission, which uses 20% of the revenue for public outreach campaigns, research and statewide initiatives such as kits for new parents, a tobacco use helpline and early learning programs. The remaining 80% is allocated to 58 local county commissions based on birth rates, with Los Angeles County receiving the largest portion. The local commissions are led by county supervisors on a rotating basis and include representatives of local agencies and experts in the early-childhood field. Carnegie Corp. of New York issues Starting Points: Meeting the needs of our Youngest Children. Actor and director Rob Reiner hosts a gathering at his home. In attendance are Carnegie Corp.’s then deputy director-senior program officer Michael Levine, Families and Work Institute co-founder and President Ellen Galinsky and Boston University pediatrics professor Dr. Barry Zuckerman, along with celebrities Warren Beatty, wife Annette Bening, and Steven and Kate Capshaw Spielberg. Barbra Streisand was also reportedly invited but could not attend. Newsweek publishes the article Your Child’s Brain. Time Magazine’s special issue How a Child’s Brain Develops: And what it means for child care and welfare reform is released. Johnson & Johnson is the only advertiser. Reiner, David Hamburg, then-president of the Carnegie Corp., and Dr. Bruce Perry, a psychiatrist and child trauma expert, address the National Governor’s Association in Denver, calling the first three years the "most critical time period." Reiner made the comment: "By age 10 your brain is cooked and there's nothing much you can do." President Bill Clinton and First Lady Hillary Rodham Clinton host the White House Conference on Early Childhood Development and Learning. ABC airs “I Am Your Child,” hosted by actor Tom Hanks and featuring Reiner, President Clinton and the first lady, Roseanne Barr, Robin Williams, Alex Trebek, Oprah Winfrey, Charlton Heston and several other celebrities. The journal Educational Researcher publishes Education and the Brain: A Bridge Too Far by John T. Bruer, president of the James S. McDonnell Foundation, which funds projects in science and education. California voters pass Proposition 10: The Children and Families Act of 1998, which adds a 50-cent tax on tobacco products. Proposition 10 goes into effect. The Free Press publishes Bruer’s The Myth of the First Three Years: A New Understanding of Early Brain Development and Lifelong Learning. Reiner posts an article on Huffington Post announcing that he is “reintroducing” his I Am Your Child Foundation as Parents Action for Children. Reiner announces he will not enter the 2006 governor’s race in California. Proposition 82 — titled Preschool for All — qualifies for the state ballot. Also a Reiner initiative, Proposition 82 would have created a universal pre-K program to be administered by the state education department and county school superintendents, and provided by both public and private preschools. The measure would have created a 1.7% tax on individuals earning at least $400,000 and couples with a combined income of $800,000. Reiner resigns from his role as chairman of the statewide California Children and Families Commission, facing accusations that the commission spent at least $20 million on ads for Proposition 82. Proposition 82 is defeated 61% to 39%. California voters defeat Proposition 1D, which would have shifted $268 million in Proposition 10 revenue as well as $340 million in reserve funds to cover other general fund expenses as part of then-Gov. Arnold Schwarzenegger’s plan to eliminate a budget deficit. For a few significant reasons, however, measuring First 5’s impact on the well-being and school performance of California’s children after 20 years produces no easy answers. First, county commissions determine how to address local areas of need, whether that’s ensuring that preschoolers receive developmental screenings, that young children have health insurance, or that kindergarten teachers receive information on incoming students from area child-care centers. Progress doesn’t look the same in San Diego as it does in San Mateo — another way that First 5 was ahead of its time, leaders and observers say. “We didn’t know how important local control was when Prop 10 was written in ’98. This was novel when it happened, but it’s not novel now," Moira Kenney, the executive director of the First 5 Association of California, said in an interview. The local commissions formed the association in 2001 with the idea that it would be better for them to learn from each other instead of creating even more silos. Second, few indicators of child health and well-being have been tracked in the same way over the full 20-year period, making it difficult to compare child outcomes in the late 1990s to now. Piecing together data on selected years from a variety of government sources or small evaluations doesn’t provide a coherent-enough picture to determine First 5’s overall impact. Third, the lack of a statewide longitudinal data system that tracks children from early childhood through their K-12 years also has hindered efforts to “show what is happening in individual programs,” Gabel said. In fact, in 2011, just as early-childhood leaders were pushing to link data from state-funded early-childhood programs to the California Longitudinal Pupil Achievement Data System, Brown halted funding for the system — in part because the state was trying to recover from the recession, but also because of his general skepticism toward the use of data in education. As a result, First 5 evaluations tend to focus on specific efforts at the local level. In San Joaquin County, for example, the commission has used funds to track the progress of children who attended a First 5-funded preschool program in the county. Compared with those who didn’t attend, the First 5 preschoolers had lower absenteeism rates and were less likely to be retained by 3rd grade, according to an evaluation by Harder+Company Community Research. But based on standardized test scores, those with the greatest needs — English learners and children from the most disadvantaged families — tend to benefit the most. In Orange County, First 5 leaders have worked with researchers at the University of California, Irvine to show the connection between children’s scores on the Early Development Instrument (EDI) — a questionnaire completed by kindergarten teachers measuring children’s skills in five areas — and 3rd grade performance. The findings show that as children receive higher ratings in the language and cognitive development domain, they are more likely to reach proficiency levels in math and English language arts (ELA) on state tests. The communication skills and general knowledge domain was also predictive of math and ELA outcomes — results that are relevant for school leaders. “Ultimately, the study is intended to validate the EDI as a population level measure that can inform collective and cross sector efforts to monitor and improve local early childhood systems,” the researchers wrote. Those local innovations and evaluations are needed to influence and provide data to other counties and even state-level policymakers, said Mayra E. Alvarez, president of The Children’s Partnership, an advocacy organization. And even if it’s difficult to isolate First 5’s contribution to improving the conditions that help young children to be healthy and successful in school, it’s clear that the state and local commissions can share in taking the credit for some positive developments. For example, California has one of the lowest rates of uninsured children in the nation — now down to less than 3%, according to a report from Georgetown University’s Center for Children and Families and data from the California Health Interview Survey. A January report from The Children’s Partnership discusses First 5’s role in not only building the research case for healthy child development, but also in supporting local initiatives to provide children with health insurance as part of a statewide movement toward universal coverage. ”The local data showed that it matters that kids have health insurance,” Alvarez said in an interview. She points, for example, to First 5 Santa Clara’s support of the first Healthy Kids program in the state, which provided health insurance coverage to those who didn’t qualify for Medi-Cal, the state’s Medicaid program, but couldn’t afford private insurance. Other First 5s around the state also supported Healthy Kids programs and then in 2015, Brown signed a law extending Medi-Cal coverage to all children, regardless of immigration status. The implementation of the federal Affordable Care Act under President Barack Obama further expanded coverage for children. Camille Maben, executive director of First 5 California, is also especially proud of the state commission’s Talk. Read. 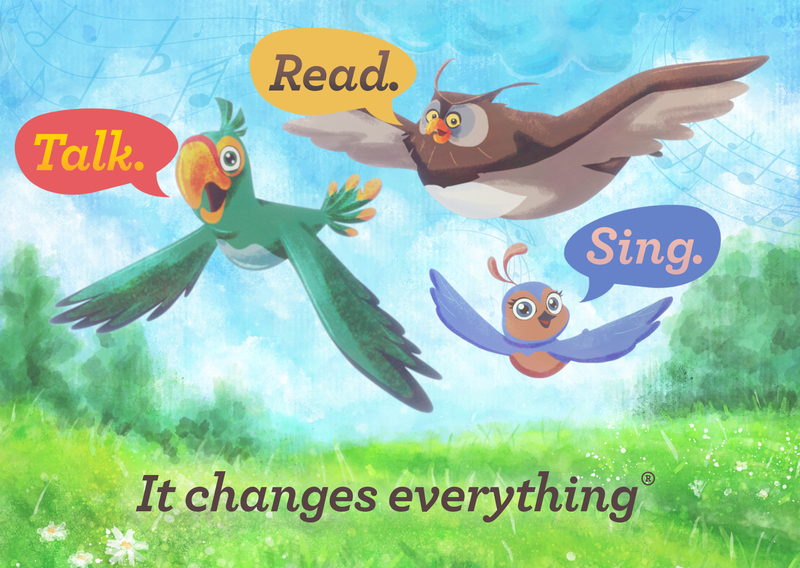 Sing campaign, which she called a “direct, simple message” about how parents and caregivers can support young children’s early cognitive development. The campaign has reached 60% of the target audience, with a survey showing that respondents recalled seeing a TV ad or hearing one on the radio, according to an evaluation conducted by the NORC social research group at the University of Chicago. An evaluation showed that parents who saw the Talk. Read. Sing. messages reported engaging more in those activities with their children. Almost 40% of respondents said they visited the First 5 website to get more information, and the findings suggest that the campaign positively influenced how often parents engaged in those activities with their children. "This is relatively unusual in the case of short-term social marketing campaigns," the researchers wrote. First 5s have also been lead partners in implementing Quality Counts California, a quality rating and improvement system (QRIS) intended to strengthen the quality of early-childhood programs and ideally draw parents to higher quality. The state’s QRIS story, however, is another example of Brown’s preference for local control and the state’s determination to stand up to the federal government over policy issues — as it did with the Every Student Succeeds Act (ESSA). When the federal government's Race to the Top — Early Learning Challenge grants were announced, California was in “an isolationist trend,” Gabel said, and Brown wasn’t interested in applying. But local First 5s were implementing QRIS programs, and Maben — then director of child development at the California Department of Education —convinced the administration to approve the proposal. The compromise was that it wouldn’t be mandatory for counties or providers to participate, but there would be a common method for rating programs. 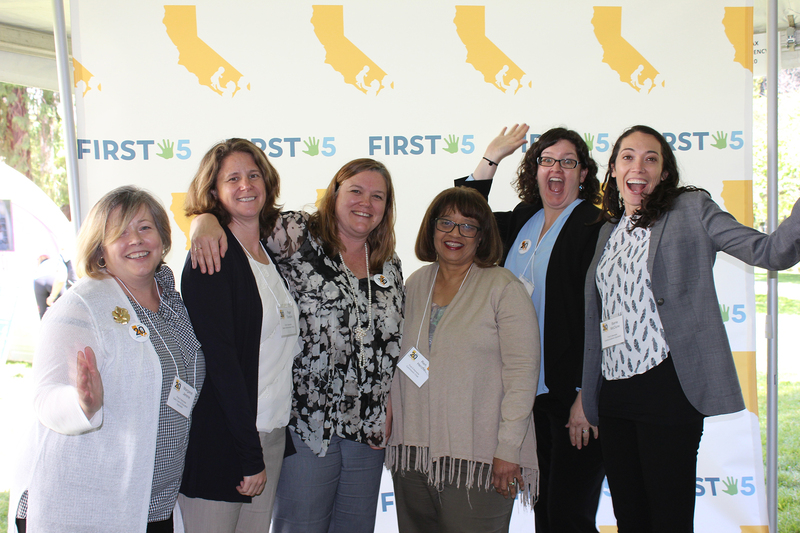 First 5's involvement in the system — called Quality Counts California — is a five-year, $190 million effort to provide coaching and support to providers in all 58 counties in both center- and home-based settings. The most recent tally from 2016-17 shows that almost 3,500 center-based programs and almost 2,000 family child-care programs were participating in the QRIS, according to First 5 California data. 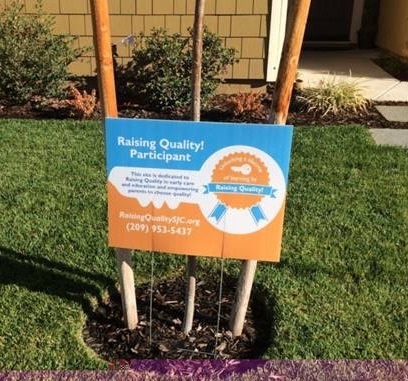 A provider uses a lawn sign to advertise participating in Raising Quality, the name that First 5 San Joaquin uses for the state's quality rating and improvement system. But a comprehensive report on the California's education system, released last month, suggested that early-childhood options in the state are essentially getting worse instead of better, and that "in contrast to most other states, California providers have few incentives to pursue quality improvement." In her research brief, Stanford Professor Deborah Stipek wrote that low-income children in California are less ready for kindergarten than demographically similar children in other states. "California, once a leader in early childhood education [ECE], now lags behind most states," she wrote. "ECE in California is an underfunded, complex, fragmented system that is inefficient for providers and families." Of course, First 5 leaders would have liked to see greater gains after 20 years. "The impacts of ignoring our children are clear: statewide, only 45% of 3rd graders read at grade level and child care can cost parents as much as college tuition at University of California," First 5 Los Angeles Executive Director Kim Belshé wrote in her response to a brief Education Dive: K-12 survey. "It will take grit by decision makers and elected officials to address these challenges." One of the few trend lines that stretches back to the years before Proposition 10, the National Assessment of Educational Progress, shows that while the gaps have narrowed in recent years — especially in 8th grade reading — California still trails the national average in 4th and 8th grade reading and math. In an interview, Stipek said that First 5 is a "very positive force, but it's like throwing a pebble into the ocean. We can't expect First 5 to make everything right for the state." Finally, measuring First 5’s impact is complex because so many of its efforts have been embedded within other county departments and organizations. “The success of First 5 is never going to be within First 5,” Kenney, the association's executive director, said. “The success of First 5 is never going to be within First 5." For example, since its early days, the Children & Families Commission of Orange County has paid for a nurse in each of Orange County’s 24 school districts. They conduct hearing, vision and other screenings throughout their communities and address health-related issues, such as making sure the family is connected to primary care services, before children enter school. “Out of the gate, our commission took a strategic stance that we needed to work across programs,” Executive Director Kim Goll said in an interview. In another example, First 5 Amador, in the Sierra Nevada region, was paying for dental hygienists to give fluoride treatments throughout the county at playgroups and other family events, Executive Director Nina Machado said in an interview. Then staff members learned that physicians could conduct the treatments during well-child visits and bill insurance. Now the agency no longer pays for the service. While some, like Orange County’s commission, have long prioritized this approach, others initially concentrated on how they could directly provide missing services in their communities, Gabel said. But with revenue now declining, many have been forced to cut back on the programs they fund. In San Joaquin, Executive Director Lani Schiff-Ross said she still remembers being told 18 years ago that the tax was not a sustainable funding source. The county’s commission members, however, have been committed to funding the preschool program, even if they’ve had to cut enrollment by several hundred children in recent years, she said. Funding actual programs, however, also means that as leadership priorities change, the organizations receiving First 5 funds — and the families they serve — experience instability. “Communities of need get really tired of having organizations say, ‘Oooh, we have this new program,’ and then having them say three, five years later, ‘We’re out of money and we have to stop,’” Richard Cohen, an early-childhood mental health expert and adjunct lecturer at the University of Southern California, said in an interview. That’s what Cohen experienced with First 5 Los Angeles, which was funding a weekly home-visiting program in a housing project that Cohen was running when he was director of the Westside Children’s Center. After five years, he said First 5 decided to no longer fund the program. So the center reduced the number of staff members conducting the visits and eventually cut the program all together. At the same time, however, focusing on “systems” is not as tangible as saying, for example, that children who participated in a First 5 program were more likely to be reading on grade level or less likely to drop out in high school. Dr. Barry Zuckerman, chair of the department of pediatrics at Boston University, who also consulted with Reiner on his public engagement campaign before Proposition 10, describes this difficult balance. Now there is less division and First 5 is writing and working to advance legislation in partnership with other organizations. A new, $158.5 million, three-year pilot home-visiting program for CalWORKs families — beginning in fiscal year 2019 and “based on the First 5 approach,” Gabel said — is one example. Stipek, however, said that "there's a lot of pent up advocacy," and those focusing on early-childhood should develop "a shared view." Finally, First 5 officials long said that they were only permitted to spend funds on children age five and younger, but that firm stance is softening as partnerships with other agencies have developed. First 5 San Joaquin, for example, participates in an effort to enroll families — not just young children — in Medi-Cal, and it helps to pay for dental health services for children in low-income families, up to age 18.